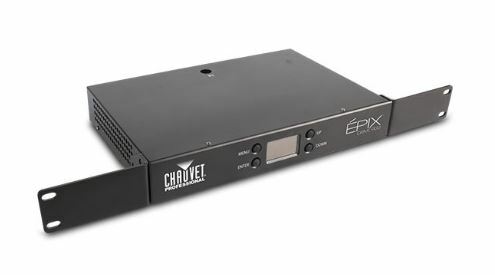 Épix Drive 900 hosts the processing and power supply for the Épix Tour system. It supports either18 Épix Strip Tours or 6 Épix Bar Tours, or any combination of the two, with a total capacity of 900 LEDs. Épix Drive 900 supports Art-Net, Kling-Net, and sACN, giving you a variety of control options . Thanks to an integrated web server, you can remotely diagnose, troubleshoot, and change settings as needed without having to directly access the Épix lights. Épix Strip IP is an outdoor pixel-mapping 1-meter LED strip, featuring 100 LEDs in a row, ideal for festivals, concert touring, and installations. Power and control it through the Épix Drive 2000 IP on Art-Net, Kling-Net, or sACN (streaming ACN). Quickly and easily configure and program shows in minutes with minimal time/effort to create stunning looks. For added versatility and more creative options, dome and flat accessories are included.